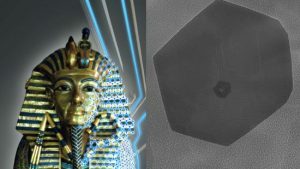 Engineers from the University of Illinois at Urbana-Champaign have found a way to protect artifacts by means of graphene gilding. Gilding is the process of coating intricate artifacts with precious metals. The ancient Egyptians and Chinese were known for coating their sculptures with thin metal films using gilding. History has borne witness to how this process has enabled golden sculptures to resist corrosion, wear, and environmental degradation for thousands of years. Gaining inspiration from the same, assistant professor Sameh Tawfick has coated graphene on top of palladium metal leaves, doubling the protective quality of gilding against wear and tear. Metal leaves, or foils, offer many advantages as a scalable coating material, including their commercial availability in large rolls and their comparatively low price. By bonding a single layer of graphene to the leaves, Tawfick and his team demonstrated unexpected benefits, including enhanced mechanical resistance. Their work presents exciting opportunities for protective coating applications on large structures like buildings or ship hulls, metal surfaces of consumer electronics, and small precious artifacts or jewelry. Tawfick’s team made use of Chemical Vapor Deposition (CVD) to grow high-quality graphene directly on the surface of 150 nanometer-thin palladium leaves in just 30 seconds.